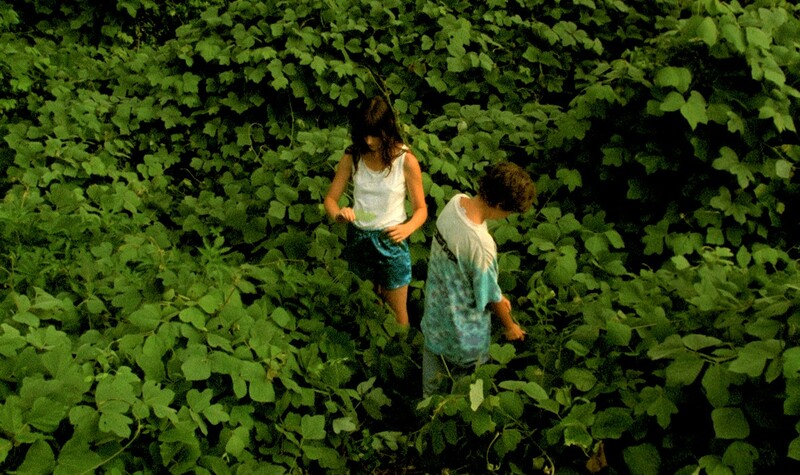 Jess, age 18 (Sarah Hagan) and Moss, age 12 (Austin Vickers) are second cousins in the dark-fire tobacco fields of rural Western Kentucky. Without immediate families to whom they can relate and lacking friends their own age, they only have each other. Over the course of a summer they embark on a journey, exploring deep secrets and hopes for the future, while being confronted with fears of isolation, abandonment and an unknown tomorrow. Through a series of memories and vignettes, in Jess + Moss director Clay Jeter creates a lyrical tale of two solitary, playful and young souls. Jeter delicately imposes a complex assemblage of ways of looking and listening – planes of focus, select pieces of music, and expert sound engineering call attention to cryptic, but suggestive details. The arresting cinematography also contributes to this complexity as Jeter uses over 30 different film stocks, some as much as 25 years old, to create a breathtaking blend of crisp and grainy images with fluctuating colour and contrast. Jess + Moss creates a world where mundane elements swell to bursting and demonstrate the power of cinema to capture the sensation of memory; the beautiful and tragic feeling of the fleeting; and the preciousness of youth and all of its disasters. "There’s so much in Jess + Moss, it’s a marvel." "These are the kinds of movies that sense the winds of change in film and move the media forward in blending more artful cinematography with simple and profound storytelling. (5 out of 5)."